Russia’s lower house has unanimously condemned the provocations by Ukrainian nationalists during the celebrations and commemorations on May 9 in Lvov. The Russian MPs demand punishment for organizers of the incident. 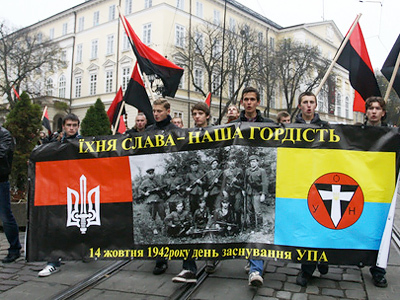 The deputies expressed deep regret over the events in the western Ukrainian city of Lvov (or Lviv) on May 9, when former Soviet republics celebrate the defeat of Nazi Germany in World War II, reports Itar-Tass.The Russian parliamentarians pointed out that it is particularly sad that nationalist provocations were possible in a country which suffered huge losses fighting shoulder to shoulder with other peoples of the USSR and anti-Hitler coalition troops to save the world from the Nazi threat. 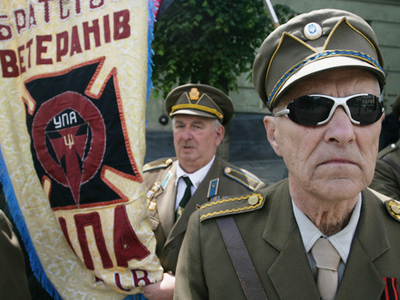 On Monday, a number of Ukrainian nationalist organizations – with the connivance of Lvov authorities – vandalized the main symbols of the Victory, attacked WWII veterans, and trampled a wreath that was to be laid at a military cemetery, MPs state. 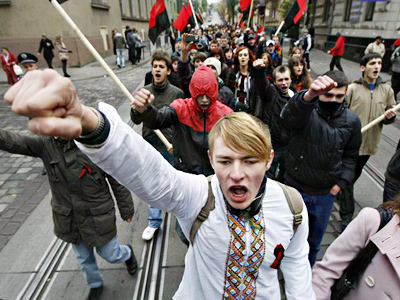 The State Duma believes the organizers of the riots should be punished in accordance with Ukrainian law. At the same time, the deputies noted that they make their statement on the assumption that the events in Lvov have nothing to do with Ukraine’s official policies and will not affect Moscow-Kiev relations. Presenting the draft of the statement, the head of the State Duma Committee for CIS Affairs, Liberal Democrats (LDPR) MP Aleksey Ostrovsky also welcomed Ukraine’s President Viktor Yanukovich’s decision to organize an investigation into the incident. The LDPR, which is headed by Vladimir Zhirinovsky, earlier said that they would demand that the Russian Ministry of Foreign affairs ban money transfers to Western Ukraine and Lvov in particular. In addition, the party wanted “those who arrive in Russia from western Ukraine to earn money and thus feed their nationalists, to be declared personas non grata…,” said LDPR faction member Sergey Ivanov, as cited on the organization’s official website. “Such incidents have lately become rather frequent in Lvov and in western Ukraine…We cannot soft-pedal the issue,” he added. Meanwhile, a pro-Kremlin youth movement, “Nashi”, is planning to picket the Ukrainian embassy in Moscow unless the riots’ organizers are found and punished. According to the activists, “the state connivance of nationalist activities is a first step towards fascism,” the organization’s press service said, cites Interfax. Moscow city parliament was also planning to draft a statement condemning Monday’s events. 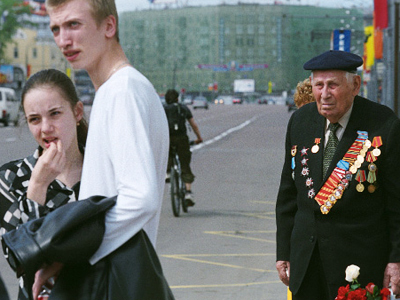 The Russian Orthodox Church and a major Russian Jewish association have slammed the extremists’ violent attempt to disrupt Victory Day events. "It is obvious that what happened is a crime involving an encroachment on people's rights to express feelings that are more than respectable about those who perished," Archpriest Vsevolod Chaplin, head of the Department for Liaison between Church and Society of the Holy Synod, told Interfax-Religion. Such crimes "need political, moral and legal assessment," he added. 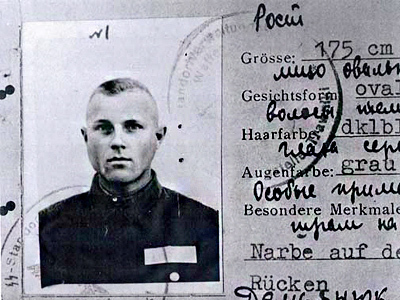 Chaplin noted that it is well-known that there were many victims of both the Nazi and the Joseph Stalin regime, as well as of actions of “some other European countries” in the regions of western Ukraine. However, he stressed, different interpretations of history and “different orientations of historical memories” do not give anyone the right to illegally use force against political opponents. The Ukrainian parliament, the Verkhovna Rada, on Friday is to hear Interior Minister Anatoly Mogilyov’s report on the nationalist riots during the marking of Victory Day. 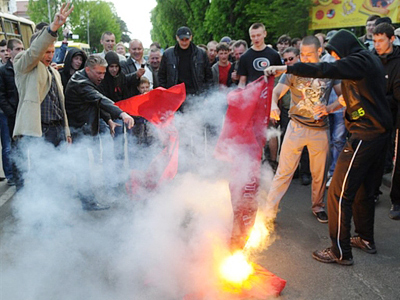 On May 10, the ruling Party of Regions issued a statement where they called the Lvov incident “an unbridled coven”. “Young hoodlums, showing the highest degree of meanness and cynicism, trampled mourning wreaths, blocked the access to the graves of the heroes, dared to raise a hand on gray-haired veterans, in an outburst of violent anger tore St. George ribbons, threw stones at the participants of the commemorative ceremony,” the document published by the party’s press-service reads. The Party of Regions said they categorically protest against “the provocative actions of unbridled political extremists, who dared with their dirty attacks to encroach on the bright memory of the millions of victims of the war, of the heroic feats of the winners, who liberated the world from the brown plague, who saved mankind from mortal danger”. The country’s Prime Minister Nikolay Azarov expressed hope that the bitter incident would not harm the city’s image. “I am deeply concerned. Lvov – pride of Ukraine – is a wonderful and hospitable city. We cannot allow extremists to damage its reputation,” he said on Wednesday speaking at the government session, cites Itar-Tass. He stressed that authorities must prevent any acts of violence and crimes connected with human rights violations. The premier noted that overall the marking of the 66th anniversary of victory in World War II was held appropriately.It demonstrated that “Ukrainian society rejects any attempts to distort the heroic deed of our people during the Great Patriotic War,” Azarov observed. Ukrainian Communists suggested going further than condemnation and proposed banning all nationalist organizations in the country. 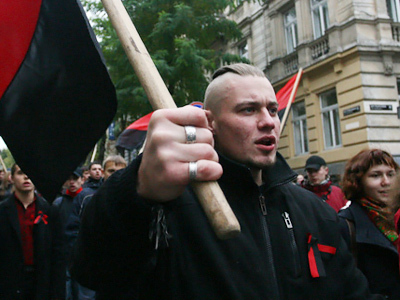 According to the head of the party, Pyotr Simonenko, on May 9 Lvov authorities took the side of pro-Nazi movements and “came out against the rule of law in Ukraine”. 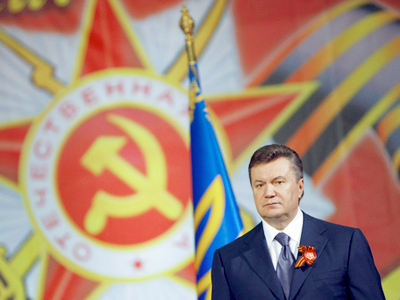 The Communists also intend to initiate a transfer of Euro 2012 matches from Lvov to Dnepropetrovsk or Odessa. According to Simonenko, the faction will draft a letter to the leadership of UEFA to reconsider the decision to grant Lvov the right to host the finals in the championship next year.